What to Do After a Car Accident in Florida | DeLoach, Hofstra & Cavonis, P.A. It's a sad fact that accident victims are often taken advantage of during the most difficult times of their lives. In this article, we offer tips on dealing with the aftermath of a crash while protecting your health and your right to recover. One of the hardest things to do after an accident is to remain calm. Many people are in shock, angry at the other driver, or hysterical from adrenaline and concern for other passengers. However, keeping a cool head must be your first priority. You'll need to think quickly to get treatment for your injuries and eventually receive fair compensation for your car accident claim. 1. Immediately after the crash: Call the police. Tell them your location, if anyone in your vehicle is injured or unconscious, and provide a description of the other driver and vehicle. Even if the accident is minor, it's a good idea to call 911 to get the police or emergency responders on the scene. Crash claims may hinge on the police report from the scene, which can serve as vital evidence. If you're too injured to move, do nothing until the police arrive. If you're able to move, and can do so safely, remove your vehicle from the path of oncoming traffic. If someone in your vehicle is injured, keep them calm and immobile until an ambulance arrives. Don't leave the accident scene until you have been released by police or medical professionals. 2. At the crash scene: If you're mobile, assess the damage to your vehicle and gather information while you wait for the police to arrive. Get the name, phone number, insurance information, and address of the other driver and his or her passengers. If there are witnesses, get an account of their stories and their contact information so you can follow up later. Use your cell phone to take pictures of the damage to the cars, road conditions, license plate numbers, tire marks, and any other important details at the scene. Although tensions are running high, try not to apologize for anything at the scene. Asking if everyone is okay is fine; saying “I’m sorry” can be taken as an admission of guilt. 3. Right after the crash: If you have sustained any injuries, see a doctor immediately. It may be necessary to have a family member call your workplace and tell them you won’t be able to come in. You should keep copies of your medical records from your emergency room treatment, follow-up care, imaging scans, and doctors’ summaries. It's often helpful to keep a diary of your medical treatment and appointments, as well as the medications you are prescribed, in order to estimate the costs of your medical expenses. 4. When talking to your insurance company: When you submit your insurance claim, stick to the facts and always tell the truth. If you lie about any detail of the crash, your claim can be denied and insurance coverage may even be revoked. Make sure you have a copy of the police report that confirms the facts of your accident. If you're offered a settlement from the insurance company, make sure it adequately covers all of your injury costs and property losses. If it doesn't, you should consult an attorney. 5. Over the next few days: There are many mistakes you should avoid while recovering from your accident. First, take a break from your social media accounts. You can inform friends and family that you were in an accident by telling one family member and appointing him or her to disseminate the information. However, you shouldn't discuss the accident with anyone other than the police or your insurance company. Second, you should consider hiring an attorney to deal with the details of your case, especially if your injuries or losses were extensive. Third, you should never talk to a representative of the other driver’s insurance company without your attorney’s approval. If someone contacts you, politely request he call your attorney instead. You have a right to collect fair and timely payment from your insurance company. 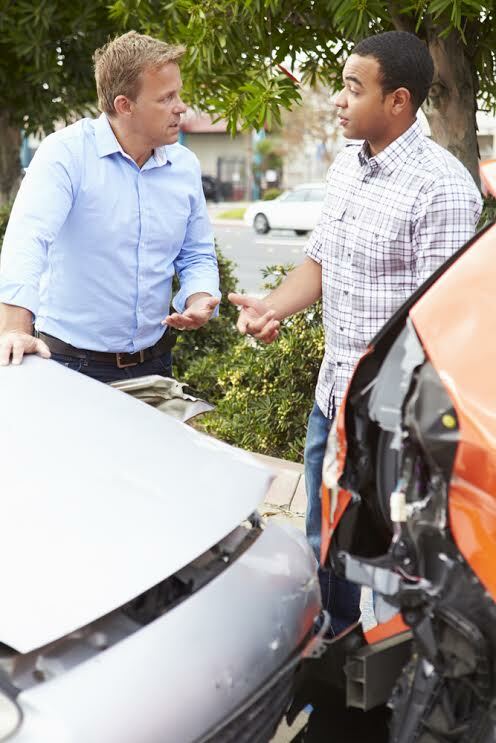 Our Florida car accident attorneys don't charge any upfront fees in injury cases, call us today for an evaluation of your claim. CHECK ON all drivers and passengers and call 911. TAKE PICTURES of all vehicles in place, including your own, if you can safely do so. TAKE PICTURES of all damage to every involved vehicle. IDENTIFY all driver(s): secure names, addresses and telephone numbers. OBTAIN license plate, driver’s license and insurance card information for all drivers (you may take pictures of them with your smartphone). IDENTIFY all witnesses: get names, addresses and phone numbers. DO NOT ACCEPT any settlement offer at the scene. DO NOT give a recorded statement to ANY insurance company before you speak with us. CALL US at 727-397-5571 immediately, because time is limited for filing a claim. If you are able, you really cannot take enough photographs. Smartphones are especially good for this purpose. Here are additional photographs we suggest you secure at the accident scene. If you have your smartphone with you and are comfortable using its camera, collecting much of this information will be easier. It will be easier to photograph a Driver’s License and Insurance Card than to write down a lot of small numbers. Just check to see that your photo is in focus! Try to stay calm and focused, and do the best you can.